1. 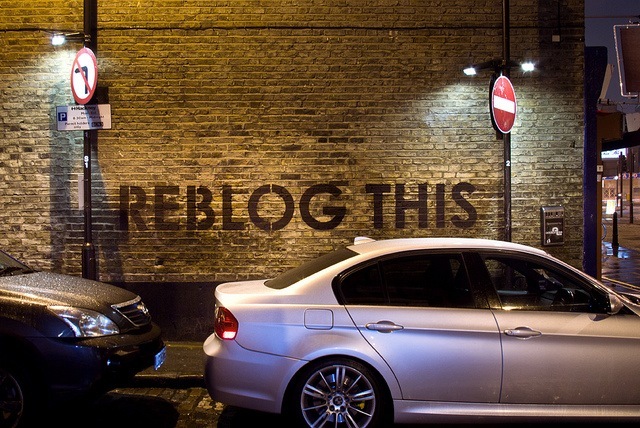 Reblog This by mobstr (shown above). This piece was painted in Shoreditch, a spot where it would have been seen by countless street art photographers, but it only lasted 7 hours before getting buffed. No matter. Mobstr got a great photo of it and put that photo online. Now it’s all ready to be reblogged on tumblr. 2. 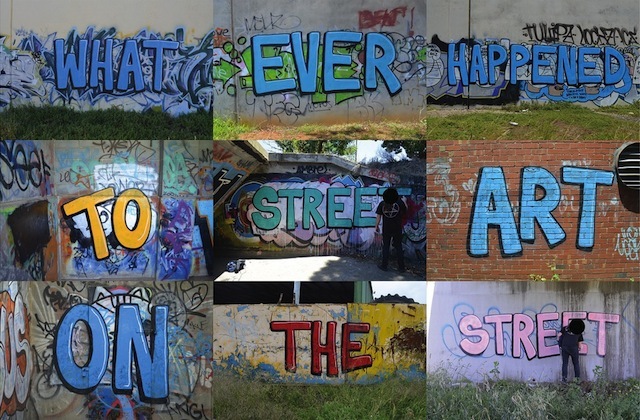 What ever happened to street art on the street? by Lush. 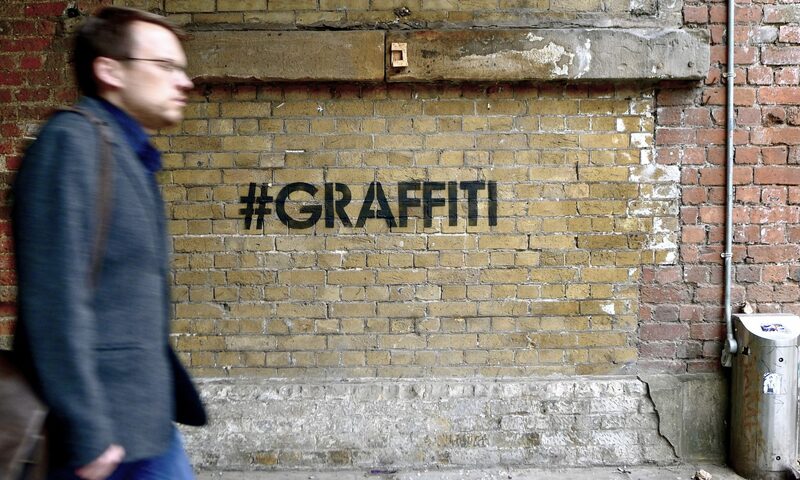 Both a comment on the proliferation of street art online and the commercialization of the movement. This image is available as a print at Backwoods Gallery. Lush has also made animated gifs of his work, something else that can only be viewed digitally but is created on the street. 3. Fine by Elfo. The text is in Italian and references this work by Giuseppe Chiari. 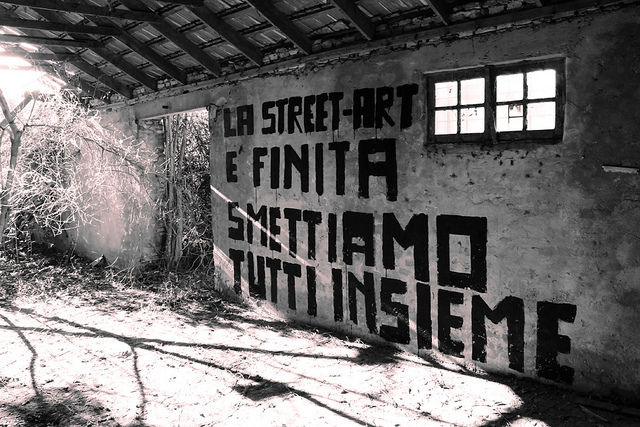 It translates to “Street art is finished, stop all together.” Rather than painting this in a busy city center, Elfo put it on an abandoned building in what looks like the countryside. The audience for the work is (primarily) the audience that will see this photo online and Elfo is well aware of that. Does this mean the death of street art though? Of course not. Chiari continued making art after his declaration, and Elfo has already made more street art. It’s just that Elfo’s public is primarily a digital one, either seeking his work out or coming across it randomly on a site like tumblr, but either way viewing it for free. For more about this shift towards a digital street and a digital public, here are two posts I wrote a while ago.